This area comprises some of the original and most mature neighborhoods in the Township. It is characterized by a compact mix of urban residential along with commercial and retail spaces. Even more than West Pittsfield, this area is home to numerous big box retailers and chain restaurants, especially along Carpenter Road. The Carpenter corridor also contains residential units, including senior and multi-family housing complexes, and some employment centers. It is serviced by AAATA bus transit and has a recently completed and upgraded network of sidewalks. 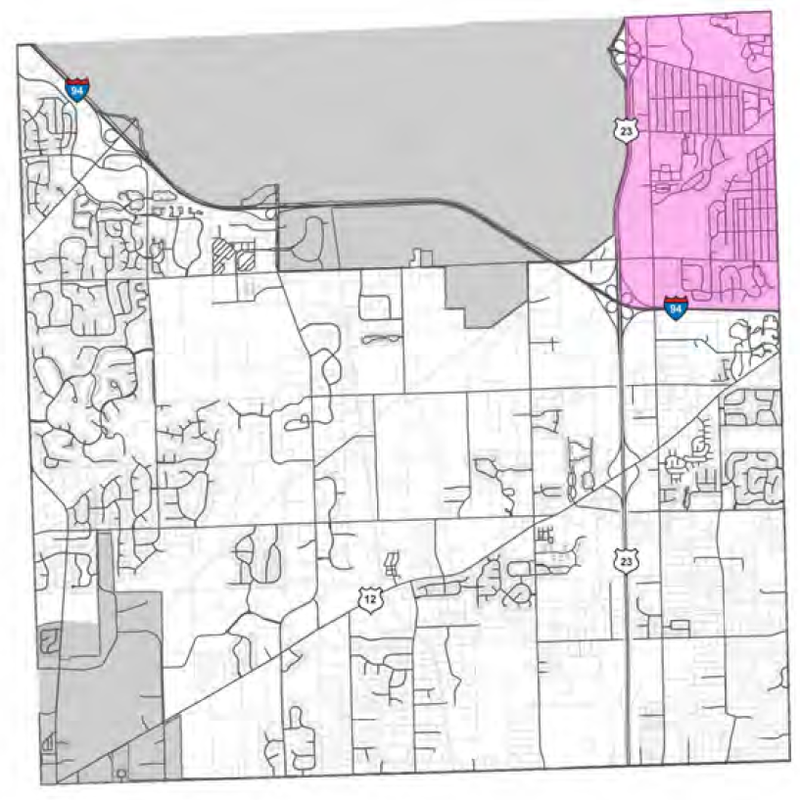 There is tremendous potential for economic revitalization along the Washtenaw Avenue corridor as the Township begins prioritizing infill and denser mixed-use developments in areas with existing infrastructure and public amenities.